Great for EPP and hand applique. Wearing a hole in your finger? 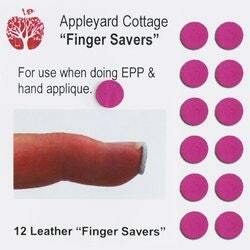 You need a finger saver! These leather sticky dots can be used for any hand sewing.